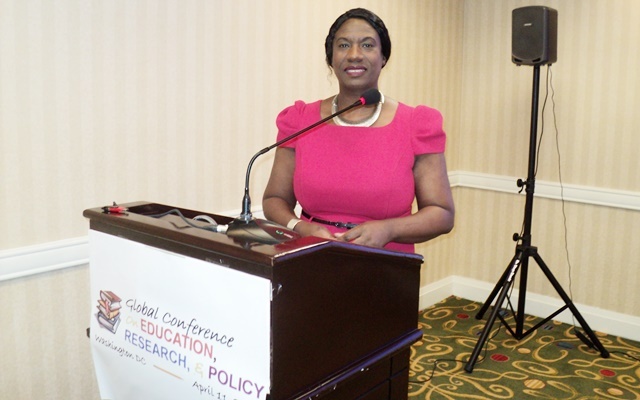 Dr Deborah Gabriel delivered the keynote address at the Global Conference on Education, Research & Policy in Washington DC on April 11 entitled: Embedding Inclusion, Equality and Liberation in Media Higher Education. In her speech, Dr Gabriel said that issues dominating the global agenda are centred on belonging, un-belonging, inclusion, exclusion and citizenship. “The rise in populist politics following the US Presidential Election and the EU Referendum has normalised racism, Islamophobia, homophobia, xenophobia and sexism, leading to an intolerable rise in hate crimes on both sides of the Atlantic”, Dr Gabriel said. “These are not issues that fall outside the boundaries of higher education that we should ignore, since the dominant ideologies, values and attitudes that influence discriminatory behaviour and prejudice (both individual and institutionalised) are channelled through and within higher education. “As academics, we have a responsibility to protect, defend and promote equality and justice, as to do so means we are making a contribution towards tackling inequality in the wider society” Dr Gabriel said. During her presentation, she praised British students for their ongoing campaigns for a more diverse curriculum, stating that her work developing social justice pedagogy in media higher education was inspired by the 2011 NUS report: Liberation, Equality and Diversity in the Curriculum. Dr Gabriel developed a final year undergraduate unit called Media Inequality that critically examines the processes through which social inequalities are maintained and perpetuated in and through the media, through the lens of race, ethnicity and culture, with centralised analysis around whiteness. The unit ran for the first time in the first semester of the 2016/17 academic year and in a custom end of unit survey 92% of students said they feel more culturally competent than they did before completing the unit; 61% of students said they felt confident they could contribute to ‘significant’ changes in the communications industries and 31% ‘moderate changes’. Students also nominated Dr Gabriel for a ‘You’re Brilliant Award’ specifically for Media Inequality and its contribution to social change. The You’re Brilliant Award is run by the Student Union at Bournemouth University enabling students to nominate staff who go above and beyond their role to enhance the student experience. Dr Gabriel said that media higher education has the potential to deliver far more in both in terms of tackling structural inequalities in higher education and the wider society and delivering a more inclusive learning experience for students of colour and those that do not fit the dominant cultural model. Excellent! Well done for a delivering a fabulous keynote speech! You also looked great! Keep doing what you are doing. You are being positioned for higher heights! Deborah, So you were in the States recently on my home turf! :)…Your work deserves to be internationalised/recognised …congratualtions to you on your powerful keynote!…So proud of you for what you have done for us all here in such a relative short period of time! 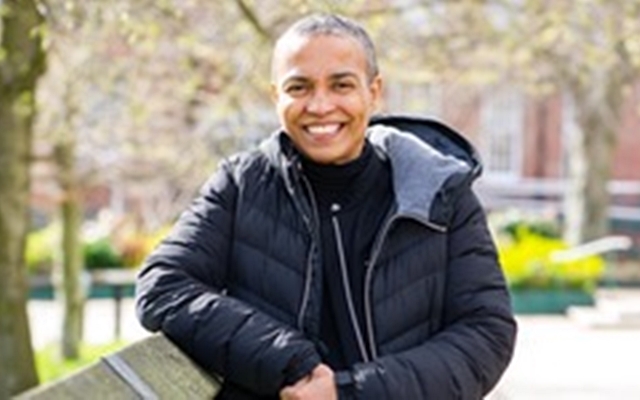 Thank you Deborah for your strong leadership, your voice and for creating the institutions/structures needed to help emancipate us…from the constant threats/struggles of racism both in our academic lives and in our daily lives. Thanks Richard for the kind words – I'm the one that should be thanking the BBA and wider community for all that you are and all that you do – which inspires and motivates me to continue our collective struggle for change that will benefit everyone.